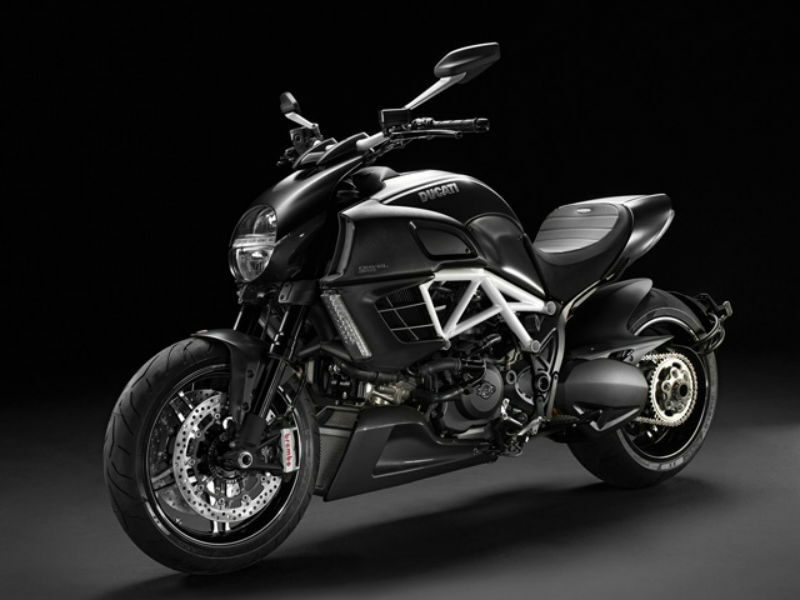 Ducati Diavel AMG is a performance oriented bike with stylish looks and greater comfort. Read the review to explore the features, technical specifications & price. 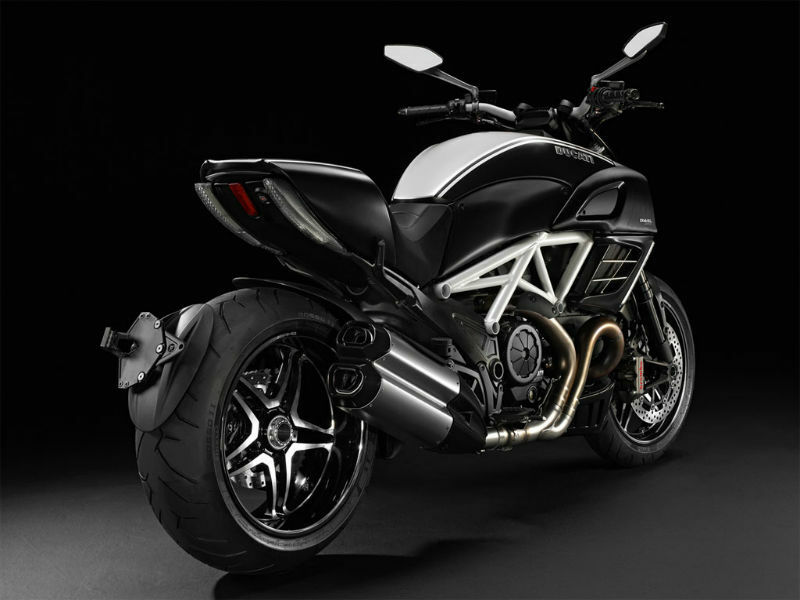 Ducati Diavel AMG was born because of the celebrated partnership of two leading companies, the Italy's bike manufacturers Ducati and Germany's performance car firm AMG. Combining the exclusive features of both the brands, this all-new vehicle pulls the crowd by its unmistakable signature design and high performance. Since the vehicle has chosen the best qualities of both the leading companies no doubt that it serves as one of the highly appreciated bike of the world. The performance-oriented bike Ducati Diavel AMG is powered by Testastretta 11° engine that takes care of the smooth, trouble free running of the vehicle. This engine is structured with L twin cylinder with four valves per cylinder and uses liquid cooled technique. The Desmodromic cam timing of the engine is set and signed by the engine technician responsible and this is the way AMG follows for its other vehicles. The maximum power generated from this potent engine is about 119kW at 9500rpm and the peak torque achieved is 127.5Nm at 8000rpm. When it comes to looks and quality Ducati Diavel AMG surely stands among top adventure motorbikes. Although this bike follows most of the design features of Ducati Diavel it does incorporates some of the attractive AMG signature works such as horizontal seat upholstery, five spoke wheels, stylish exhaust system with engraved end caps and carbon finish radiator grille. Made with the high quality materials and technology riding this super bike is a pleasured experience. Stuffed with all the comfort and safety features, riding this vehicle is really wonderful. The suspension of the bike including the front Marzocchi DLC coated 50mm fully adjustable and the rear wheel's sachs monoshock with swingarm are extremely good and it is because of this Diavel AMG is best suited for off-road. The disc braking system of the bike with the ABS facility both at the front and rear assures great control to the rider even at higher speed. The luxury sport vehicle Ducati Diavel AMG offers the mileage of about 8 to 10 kmpl. 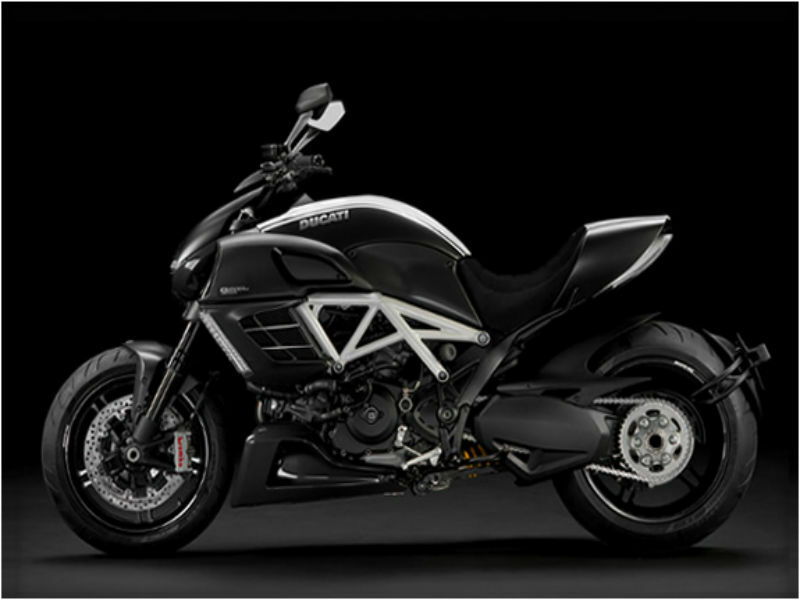 The aesthetically designed new bike Ducati Diavel AMG is available in AMG Diamond White Bright and Matt Carbon color. The ex-showroom price of this vehicle in India is about Rs.19,80,000.